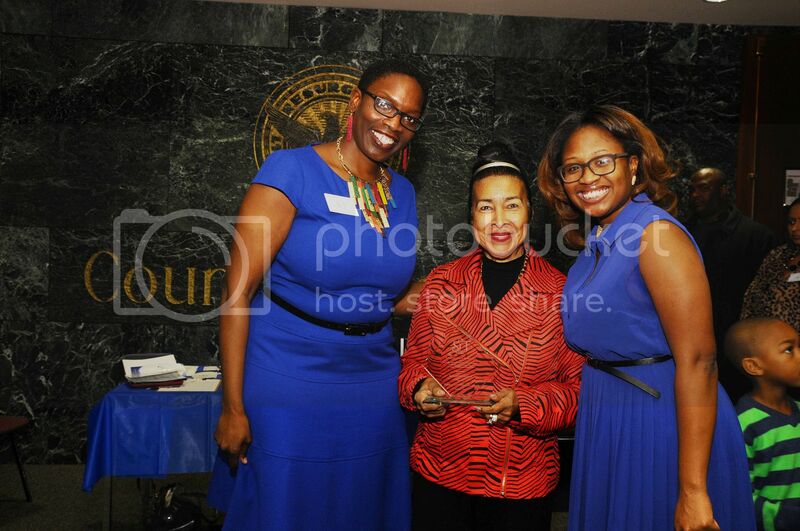 Founder of Sisters of Today and Tomorrow Carla Morrison, honoree Xernona Clayton, founder, Trumpet Awards and Kenya James at SOT's 9th Annual Women’s History Month Program: “Celebrating Women of Color… The Image of Women in Television” on March 2, 2013 in Atlanta, GA.
Our latest Insider is setting the pace for future entrepreneurs and empowering women and girls across the globe as CEO of Chit Chat Communications, a marketing & public relations firm and as Founder/Executive Director of Sisters of Today and Tomorrow (SOT). 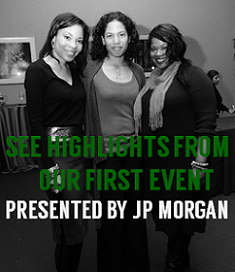 Carla Morrison began her career in journalism, receiving a Bachelor’s degree in Communications from Bowie State University, and then serving as the Assistant Editor of Black Beat Magazine. As her career developed, she went from journalist to publicist, creating her own business, Chit Chat Communications. As senior publicist and president, Carla solicited and obtained her first major client, former Atlanta Falcons/ Indiana Colts player Cornelius Bennett. She handled Mr. Bennett’s entire publicity and community efforts. Soon after obtaining Cornelius Bennett as a client, the company’s clientele began to expand by adding other Atlanta Falcons players and radio personalities to its roster. Developing community programs for the clients of Chit Chat Communications became her passion, which convinced Carla to create a program of her own. Sisters of Today and Tomorrow is a 501c3 nonprofit that helps to build confidence, character and leadership. The organization has produced over 25 community programs promoting higher education, entrepreneurship, self-esteem, health & fitness and personal development, impacting over 5,000 youth and adults. Read on to learn more about Sisters of Today and Tomorrow and how you can get involved. Tell us what influenced you to launch SOT and how the organization has grown over the last several years. What are your current programmatic efforts? I’ve always wanted to expose kids to all the wonderful people and experiences my career in journalism and public relations has afforded me; so, I developed an annual symposium that consisted of various professionals in entertainment, sports, politics and civic leadership who discuss their careers and entrepreneurial endeavors with youth. After a few years of successfully producing the symposium and two other community programs geared towards women and children through my public relations firm, Chit Chat Communications, I was encouraged to start a nonprofit organization, for which my three annual community programs (Celebrating Women of Color, a women’s history month program; After the Party, What’s the Plan?, a youth symposium; and Sisters of Tomorrow Conference, a national leadership conference for girls), became the basis of my nonprofit, Sisters of Today and Tomorrow. Since that time and through trial and error, I’ve been able to galvanize the support of 35 women in various fields to be advocates for SOT, donating their time, talents and treasures, through a new division called SOT YOUniversity. SOT YOUniversity is a volunteer based, inter-generational program that redesigns the way women and girls communicate through a series of programs, special events and activities to explore and strengthen the bond between them. We have additional programs which include Sisters Circle and Mommy, Mentor & Me programs. 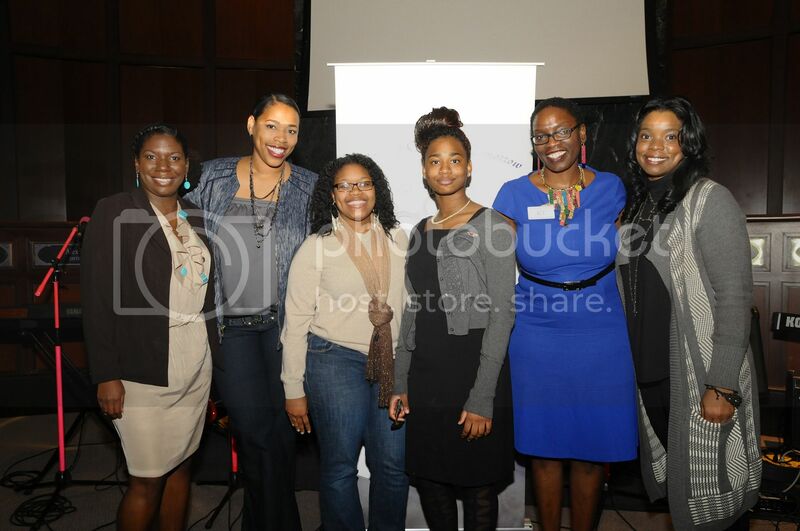 Kendall McEachin of Turner Broadcasting Entertainment Network; Nicci Gilbert of R&B Divas on TVOne; Courtney Britton, Spelman Freshman/Member of SOT; Idalis Melancon, Member of SOT; Carla Morrison; and Wanda Shelley of Simmons Shelley Entertainment during SOT's 9th Annual Women's History Month celebration. One of the major goals of SOT is to empower the lives of youth and women through mentoring and character development. Tell us about one of your success stories. One of the women who volunteers with SOT initially started coming to the program with her daughters two years ago, after a stint in rehab. This woman has participated in every scheduled program we’ve had, even when her daughters wouldn’t attend, becoming one of our strongest supporters and volunteers. Through volunteering with us, she has been able to develop a network of her own, where she has written a book about her life, which will be released this fall. She continues to advocate on behalf of SOT, as well as working closely with me and the health & wellness chair of SOT. While you work out of Atlanta, GA and New Haven CT, your programs have a national scope. How can individuals and organizations become involved with SOT? My goal for Sisters of Today and Tomorrow is to expand our reach to all 50 states and beyond. We are always networking and developing relationships with people in other cities and states, with the hopes of bringing our program to other communities, outside of Atlanta and New Haven. We are always open to collaborating and partnering with people, organizations and corporations to make our programs of empowerment a national movement. People can get involved with Sisters of Today and Tomorrow by contacting me directly at (404) 319-2130 or email: cmorrison@sistersoftodayandtomorrow.org. Congratulations on the powerful achievements that have been made by your organization, associates, supporters and affiliates. As a member of the outreach committee for the 2013 Pan African Grassroots Assembly, July 4-7th in the Kingdom of Oyotunji African Village, we would like to extend an invitation for your participation...as presentors, role models, youth activity sponsors...particularly targeting the Leadership roles of African American females! 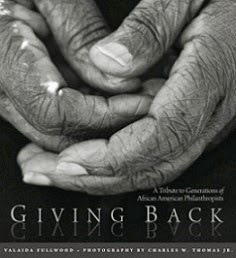 As a friend of the photographer, Charles Milburn Thomas for the Giving Back book, we were introduced to you, your events and efforts. We look forward to building partnership and collaboration moving forward.